Sorry, cats (and goats, for that matter). 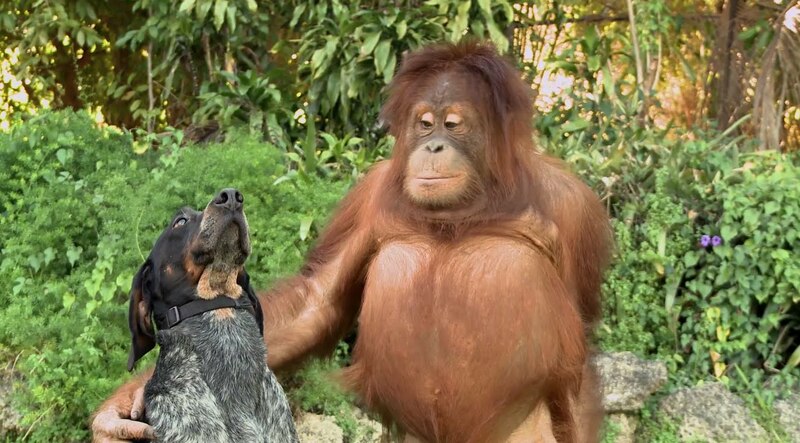 Dogs are leading the pack as viral advertising of 2015 so far, according to Unruly, with three canine-themed ads among the year's 12 most-shared spots to date—including two of the top four. Along with the doggie-themed ads—for Purina, Budweiser and Kleenex—it's also been a good year for PSAs going viral. The Ad Council's famous "Love Has No Labels" effort comes in at No. 3 here, while an intriguing social experiment about violence sits at No. 5 and Robert Downey Jr.'s prosthetic arm delivery for Microsoft is No. 6. The trailer for Season 3 of Netflix's Orange Is the New Black also makes this list. But while TV trailers were fair game, movie trailers were not (as they would swamp the list). Budweiser and Supercell made the two 2015 Super Bowl spots on this list. But Disney topped everyone with a memorable mall stunt that's been shared more than 3.7 million shares since February—it's currently the ninth most shared ad of all time. Note: The embeds below are all from YouTube, but the share numbers include all social media, including Facebook, where some of these ads earned even greater view counts. "Galaxy S6 edge Iron Man Limited Edition: Official Unboxing "
"Coldplay's Game of Thrones: The Musical"
"Orange Is The New Black Season 3 Trailer"
"Robert Downey Jr. Delivers a Real Bionic Arm"
"This Man Found His Soulmate In A Puppy And It's Adorable"